In aesthetic medicine, we can’t halt the aging process, but we can slow it down and target some of its indicators. We customize treatments to restore, rejuvenate, and enhance the natural beauty of our patients. Dr. Sylvie Bourrée is a renowned specialist in aesthetic medicine. 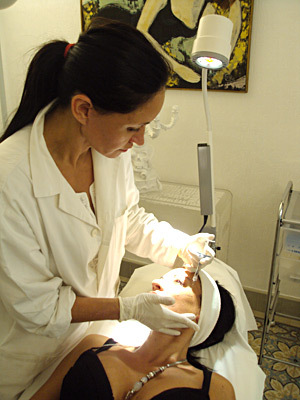 She is specialized in non-surgical rejuvenating skin treatments, wrinkle treatments and anti-aging. Aesthetic medicine has long been a passion for Dr. Sylvie Bourrée, which helps her in constantly improving her techniques and knowledge. Since 2000 she has devoted her passion to help her patients to feel better with procedures that enhance their natural beauty and restore the look of vitality from their youth. 1997 – University Diploma In Nutrition • Hôpital Bichat – Paris. 1999 – State registered Doctor in Medecine • Faculté de Broussais – Hôtel Dieu – Paris. 2000 – European Diploma in Medical Lazer • Université René Descartes. Paris V, le 25 septembre 2000. Member Of the “Association Française de Médecine Morpho-Esthétique et Anti-Âge (AFME)”. Member of the Council de l’Ordre des Médecins. Member of the General Medical Council • GMC n°6039001. Member of the I.D.F (Independenr Doctors Federation) in London.